Some of the pupils developed a stronger interest in physics than they might have done without the inflluence of one of Rex Sawyer's own hobbies - Amateur Radio. On his return from service in the RAF during the Second World War, he obtained the callsign G3DTB - the next on the list to be issued. Later, forseeeing its issue, he made a special application to the issuing authorities and was succesful in obtaining the callsign G3IGS - ostensibly for the boys at the school. 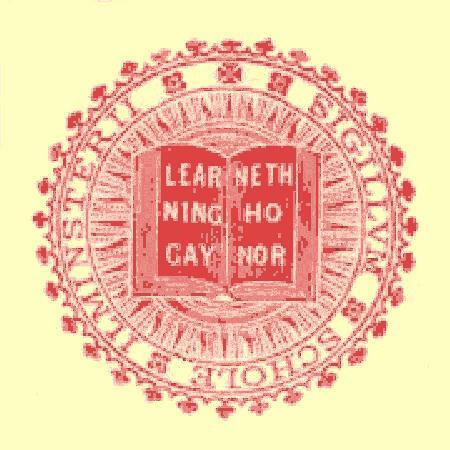 Thus began the School Radio Society. Prior to issue of G3IGS, Rex was already 'talking to the world' from his home (initially, a caravan on the school grounds) and this did not go unoticed by a few inividuals who, with his help, went on to become radio amateurs. However with a transmitting and receiving station (all made by Rex and the pupils) set up in the science laboratory and complete with a very decent aerial (as we then used to call the antenna); the world could be listened to with awe - during lunchtime and other breaks. 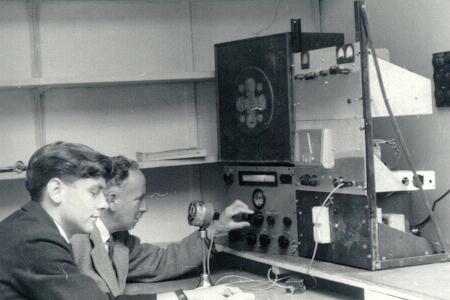 Certain pupils, who with Rex's tuition and encouragement formally sat and passed both the Radio Amateurs Examination and The Morse Test, could actually talk to the world. These were exciting times ! In this photograph of G3IGS, Rex is tuning into a station on the CR100 receiver. The 'home made' transmitter is the centre unit of the right hand rack and comprises a Geloso vfo driving an 807 valve as the pa. At the bottom of the rack is the psu whilst at the top is the atu. Writing up the log is "one of the boys" also (at that time) a licenced Radio Amateur. 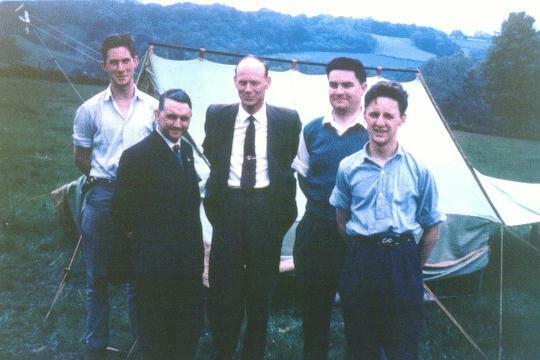 The photo shows some visitors from another club together with boys and old boys outside the tent housing the 'portable' radio station. 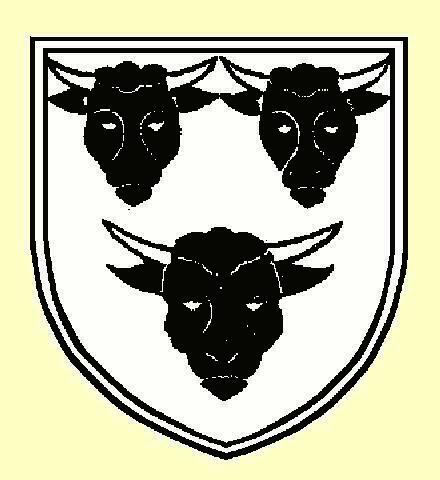 Although proud of the term 'amateur', the Society held formal meetings and issued an annual newsletter. 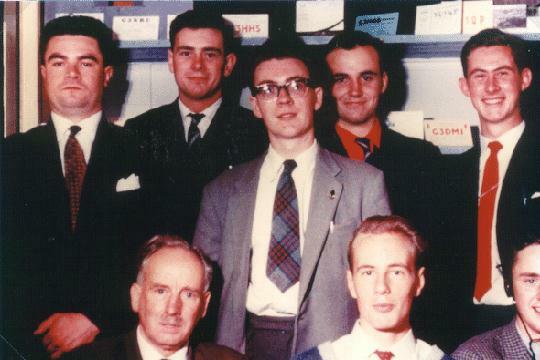 The photo shows those attending the 1962 AGM - all Radio Amateurs. These and many others attending the School were inspired by the 'hobby' activities of R.W.Sawyer (and other masters) and are enjoying professional careers in technical disciplines.